Lima's versatility is paying dividends with U.S.
Do the Quakes have much left in the tank? Will LAFC ruin the California Clasico? SAN JOSE, Calif. -- Yes, San Jose Earthquakes fans, the hiring of Matias Almeyda as the team's new manager is very real. It's an impressive choice. In fact, this might be the best decision the organization has made in its recent history. Alas, events of recent years have made that a low bar. The Quakes are on the way to finishing dead last out of 23 teams in MLS this season. At present, with two games left to play, San Jose is a staggering 26 points out of the sixth and final playoff spot in the Western Conference. The team has also burned through three coaches the past two seasons. Yet the Quakes organization has made an ambitious hire completely at odds with its recent history. And Almeyda knows a thing or two about trying to breathe life into underachieving clubs. It was the former Argentina international who first revived River Plate, winning promotion back to Argentina's top flight in 2012. He then revitalized a moribund Chivas de Guadalajara side to the tune of five trophies in three years, including the 2017 Liga MX Clausura and the 2018 CONCACAF Champions League. Along the way, Almeyda's sides became known for a suffocating and unique defensive approach that utilized man-to-man defending all over the field. In attack Almeyda implemented a pressing, swarming style with elements of vertical play that will likely please fans in San Jose. The Chivas team fans saw in this year's CONCACAF Champions League, when Almeyda went ultra-defensive, certainly gave them pause, as did the rather uneven league results toward the end of his tenure. It's worth noting that was a Chivas team that was struggling in the league and had lost key players such as Carlos Salcedo, Carlos Pena, Carlos Fierro and Jose Juan Vazquez, and the club didn't reinvest in terms of getting quality replacements. The extent to which Almeyda will have to revert to a more pragmatic approach will bear watching. 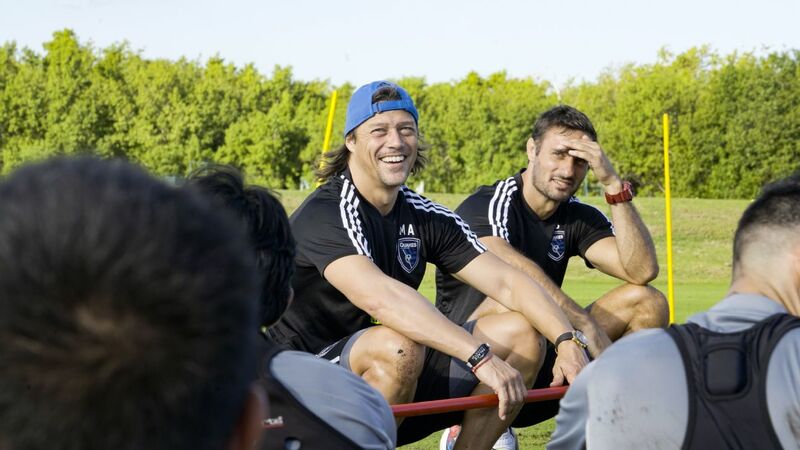 Almeyda's history with one of the most popular teams in Mexico will no doubt help the Quakes re-establish connections with a Latino community that barely acknowledges the team's presence. Almeyda is also an immensely charismatic figure who is popular with this players, and he just might galvanize a fan base that is understandably jaded from just three playoff appearances in 11 seasons. Yet as impressive as Almeyda's résumé is, questions still abound. One is why is Almeyda in San Jose in the first place? This is a man well regarded in Mexico and a manager who had his eye on being in charge of Mexico's national team. He stressed that he had other opportunities in China, Qatar, Uruguay, Argentina and Mexico. And after managing massive clubs such as River Plate and Chivas, is the Quakes job big enough? Will it hold his interest? "There's no ideal location or style in soccer," Almeyda said through an interpreter. "I like to go places where there are good conditions, good options, good creativity and seriousness in the project. That's why I'm here. To be honest, I had other opportunities to go other places, but in none of them did I feel like I feel here. This is a new project, a new country, a new life for both me and my family. I feel very good about it, and we're excited." Perhaps the bigger question centers on who will ultimately have control over how the Quakes roster is rebuilt, and let's face it, that is what is required. For the past two seasons, that task has fallen to GM Jesse Fioranelli, whose decisions have had a huge impact on San Jose's current predicament. For those wishing to place more of the blame on former manager Mikael Stahre, it was Fioranelli who made the decision to hire the Swede in the first place. The fact that Stahre lasted just 10 months in the job does nothing to inspire confidence in his decision-making abilities, though yes, Almeyda's hiring might change the trajectory of Fioranelli's tenure. In terms of personnel acquisitions, Fioranelli's decisions on the defensive side of the ball have been nothing short of disastrous. After conceding 60 goals in 2017, it was left to Fioranelli to revamp the backline. Yet the team's defensive record has been even worse in 2018, with the Quakes already conceding 69 goals with two games to play. Even more damning, the team was healthy for much of the season, removing an excuse often used by underperforming teams in MLS. Almeyda wouldn't be drawn into his plans for the roster, opting to show respect for those players still trying to finish the current season. Fioranelli would only stress that personnel decisions would be done in partnership with his new coach. With Almeyda not officially starting until January, decisions on style will have to wait as well. 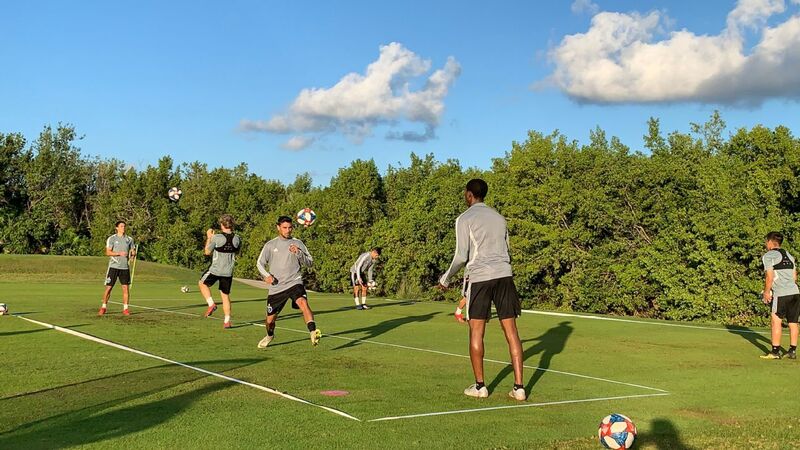 "We will work on style in preseason for how we're going to play next year," Almeyda said. "I will simply say, we want every player to run, we want every player to play. We want the players to feel good, feel strong with what they are doing on the field. We want that to give energy to fans and excite the fans with our playing style. I'm here to give my all for the club." Almeyda's track record with Chivas reveals a willingness to blood young players, a list that includes midfielder Michael Perez, forward Angel Zaldívar and midfielder Eduardo Lopez. And it stands to reason that he'll look to Mexico and points further south to recruit reinforcements. But Almeyda's past few seasons with Chivas revealed the limits of his abilities, as results suffered. The Argentine will also be brand new to the arcane roster rules that govern acquisitions in MLS. 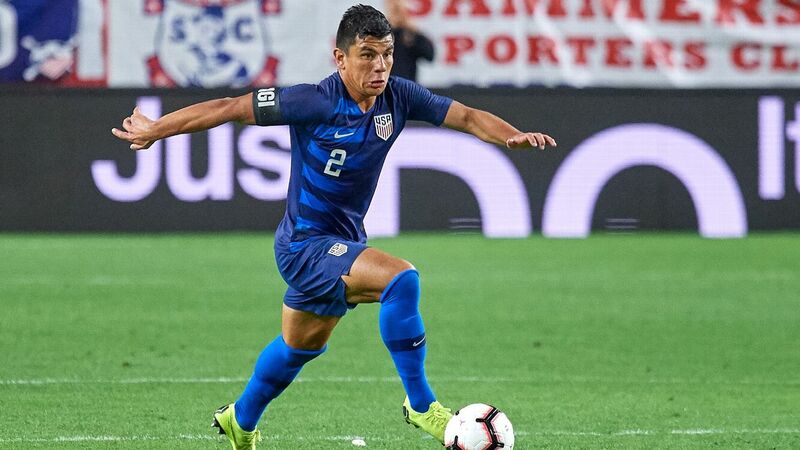 At least initially, he will be relying on Fioranelli for guidance, and based on the past two campaigns, there is considerable doubt about whether the Quakes GM can spend the money wisely enough to revamp the team's roster. Fortunately for Fioranelli, the team can't sink any lower, and a coach of Almeyda's pedigree practically guarantees some improvement next season. At least now the Quakes, a club that has seemed incapable of getting out of its own way, have made the kind of hire that will give fans hope. But it's one decision of many that the team will need to get right to return to the upper echelons of MLS. ESPN Liga MX correspondent Tom Marshall contributed to this story.